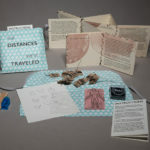 Red Butte Press proudly presents Stranger & Stranger, the fourth imprint of the Book Arts Program, a division of Special Collections at the J. Willard Marriott Library, University of Utah. 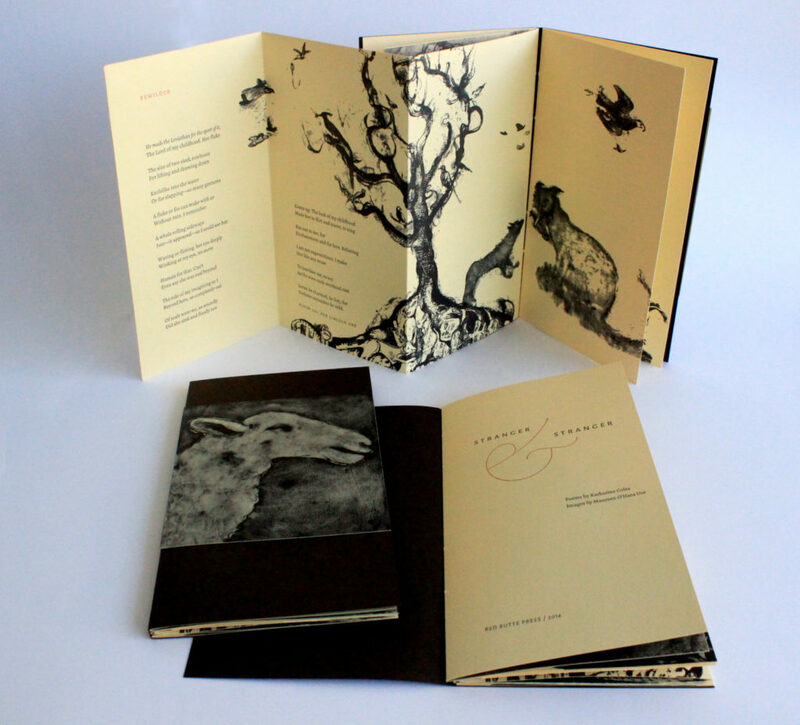 The edition is limited to 125 copies for sale. The price is $100, and can be purchased at our online store. Previous posts on Red Butte Press’ design and production of Stranger & Stranger can viewed here, here, here, and here. 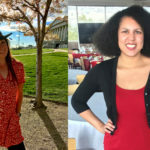 Stranger & Stranger is a result of the collaboration and friendship between poet Katharine Coles and painter Maureen O’Hara Ure, both University of Utah professors. Working alongside one another, the two have maintained an artistic dialogue for 25 years—sharing and responding to works in progress and periodically exhibiting together. 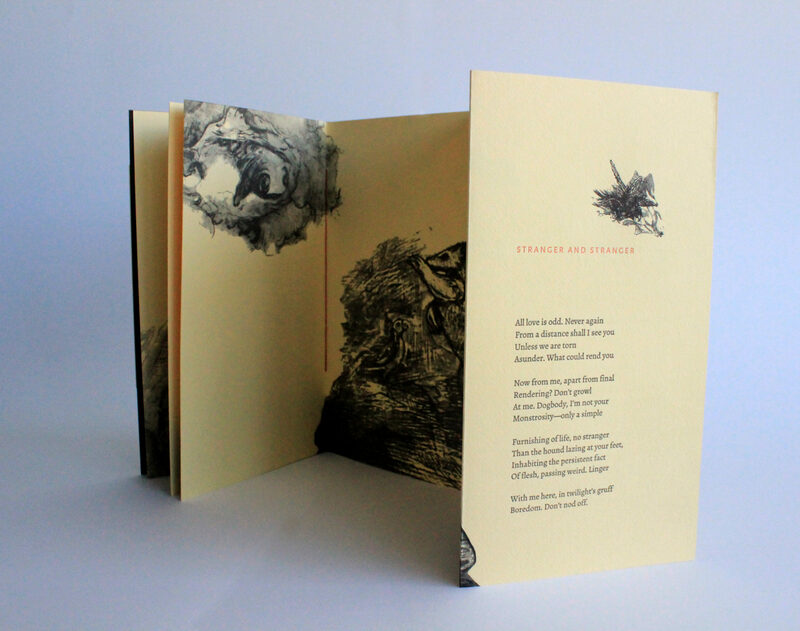 In Stranger & Stranger, visual and textual beasts intermingle and romp on the page, inhabiting illustrated and reader-envisioned water, air, and landscapes. 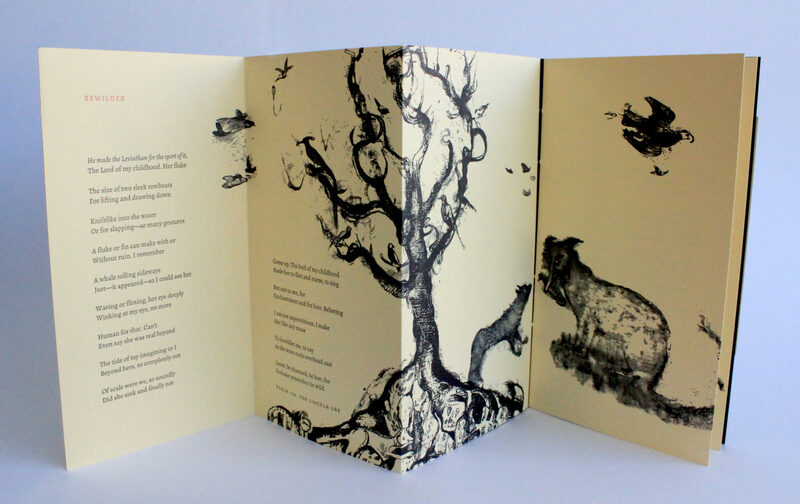 Imagery for the bestiary was extracted from Maureen’s paintings, translated for letterpress printing into photopolymer plates, and arranged in dynamic interaction with Katharine’s poems. These selections from an imaginary bestiary were drawn from North and South American, Asian, European, and particularly Byzantine art; from the rarely accurate bestiaries created by early explorers of the New World; from encounters with animals both homely and nonhomely; and from the co-creators’ own strange minds. The title—which begins on the back cover, crosses the spine, and continues on the front cover—is partially obscured by an outer flap (like a creature sheltering under a leaf). The flap frames two animals, snouts aimed at the fore-edge as if to suggest the opening. 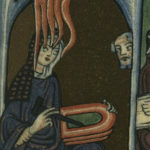 Inside the book, the rubrication of the poem titles alludes to a tradition of medieval manuscripts, including bestiaries, a popular convention of the time. Yet while acknowledging historical convention, this bestiary also breaks from it. 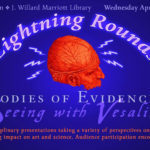 Rather than presenting a one-to-one correlation between illustrations and text typical of a catalog of beasts, in Stranger & Stranger image and text interact organically to form a web of connectivity throughout the book. The poems do not explain the fauna so much as revel in bewilderment. The type is digitally set in open-source Alegria Sans and Alegria Roman, and printed from photopolymer plates on a Vandercook Universal 1 proof press. 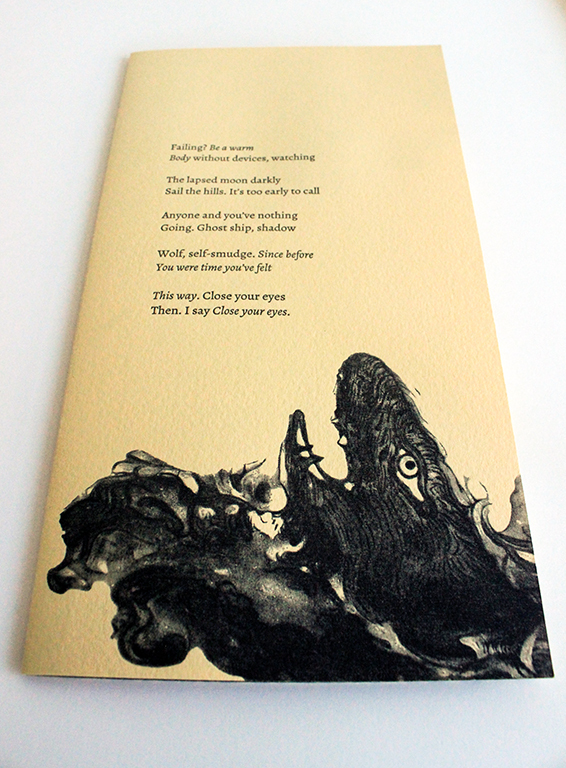 Text pages and outer cover are Arturo Cover; inner cover is Mohawk Loop Antique Vellum. 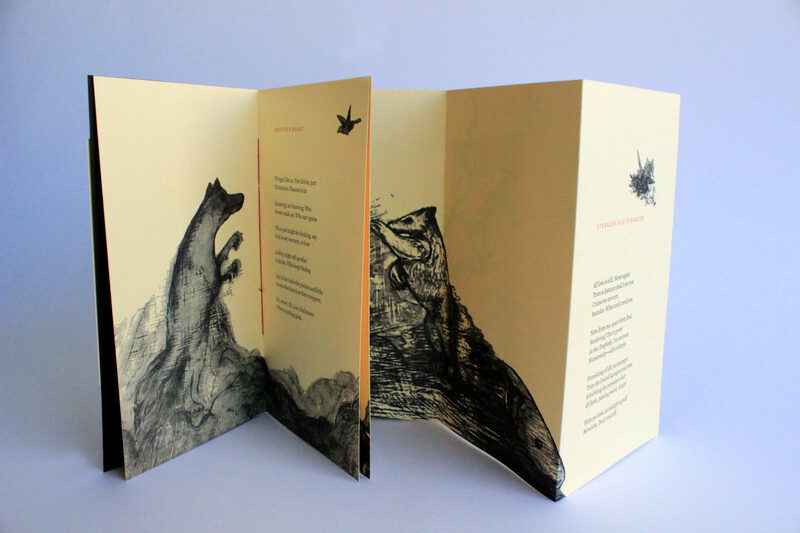 The binding is a three-section long-stitch with an integrated accordion, ideal for display. As the book’s content development was a joint endeavor, so was its production. BAP faculty, staff, and students involved in the project were Marnie Powers-Torrey, production manager; David Wolske, designer; Crane Giamo, lead printer; Emily Tipps, binding coordinator; and production assistants Hailey Bradley, Annie Hillam, Sara Jensen, Dana Knight, Allison Milham, Jonathan Sandberg, Brett Stanfield, and Amy Thompson. I have been planning on attending 2/27 and after this lyrical description of this…well, now I looked forward to holding this verbal and visual adventure in my hands.